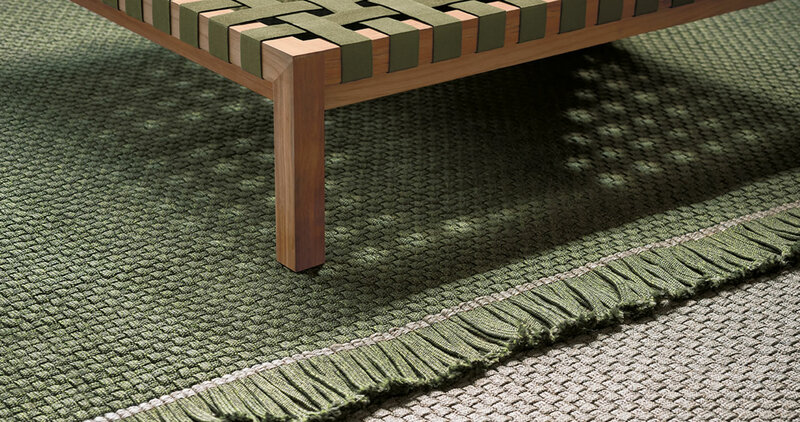 Produced on hand looms from synthetic fibers in mélange nuances, Knot rugs rugs offer the highest outdoor performance, while also preserving intact their soft feel and appearance.The rugs making up the Knot collection are available in many colour variants, drawing their inspiration from the green and brown colours that are found in nature: choice of four single-colour proposals and three two-colour versions featuring a checkerboard pattern. 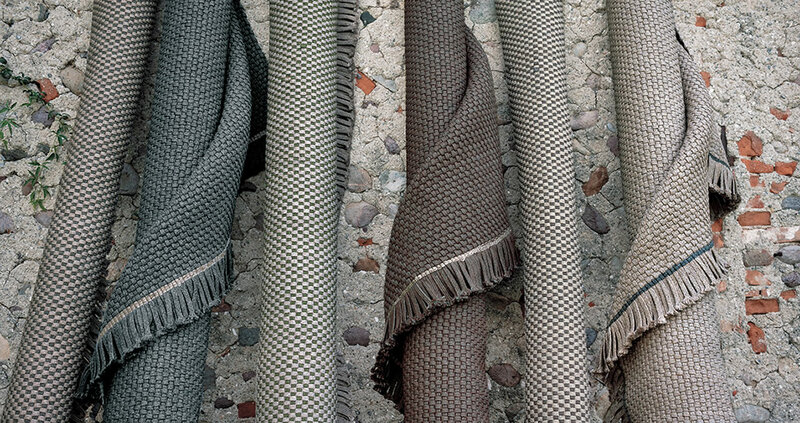 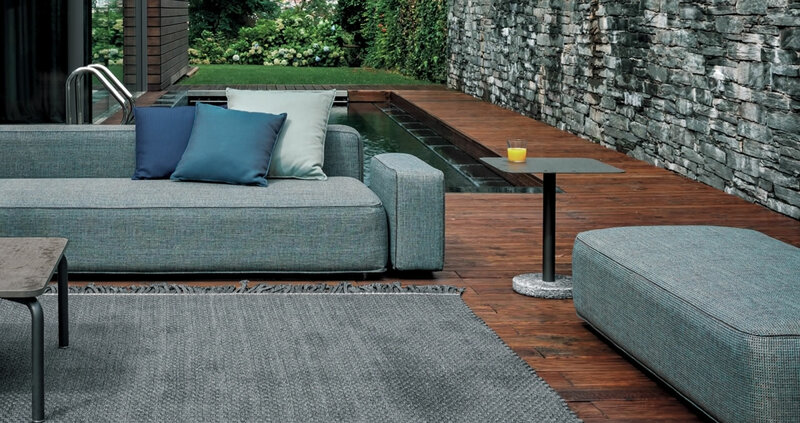 Thus, pearl grey, lead grey, brown and moss green form either solid colour surfaces or harmonious combinations, further embellished by tone on tone fringes. 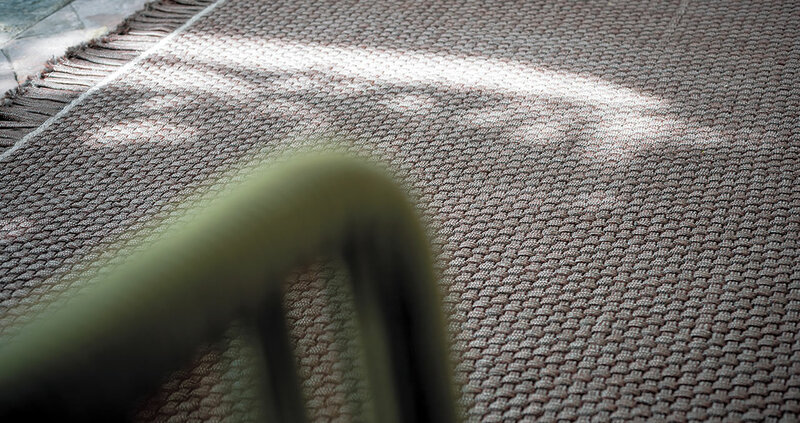 The fringes are always positioned along the 3mt side.